gentle reptiles from all over the world. Audiences enjoy discovering what reptiles are, what makes them different from birds and mammals, and how important they are in our environment. Many of the myths and misconceptions are dispelled, instilling a greater appreciation and understanding of these fascinating reptiles. The presentation also includes general characteristics, adaptation, and reptile importance in the food chain. The American alligator featured in the program is a wonderful example of a once endangered animal and the crocodile featured is representative species threatened with extinction. The keeping of reptiles as pets has become a popular rage in America. Mr. Shwedick teaches, stresses and reminds people that reptiles are instinctively wild animals. Many kinds of REPTILES are maintained at our facilities and may be added to make the program specific to your needs. 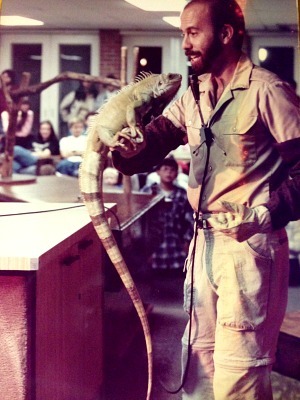 The Reptile World presentation is designed to give audiences the opportunity to meet an interesting selection of live, large, colorful, and gentle reptiles from all over the world. Audiences enjoy discovering what reptiles are, what makes them different from birds and mammals, and how important they are in our environment. Many of the myths and misconceptions are dispelled, and Michael instills a greater appreciation and understanding of these fascinating reptiles. Reptile World is a very self-contained program. Each presentation includes everything necessary including a demonstration table and a very high quality sound system. Reptile World is available for morning, afternoon and evening presentations, indoors as well as outdoors. Most presentations are 45- 90 minutes in length and can be customized to meet your needs. Contact Reptile World to Schedule a Presentation or call 301-464-5600. © 2016 Reptile World Inc.